From the most affordable studio on Chicago’s west side comes a document of unknown and remarkably eccentric soul music, all produced in late-night sessions after day jobs and family dinners had ended. With little more than a Hammond organ, a piano, and a two-track tape machine, Gene Cash's one-room enterprise quickly became a destination for local gospel and R&B groups looking to cut a record for pennies on the dollar. 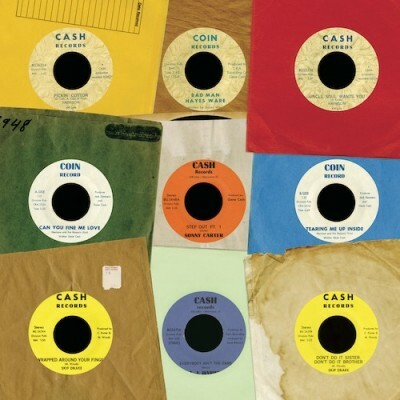 Beginning in 1967, Cash issued hundreds of singles on his Cash, Coin, Jade, and C.R.A. labels, all obscurities from the moment they fell off the press. Featuring otherwise unrecorded artists Iron Jaw Harris, Skip Drake, Soul Revival, and the brilliantly named Harlem Meat Company, alongside Chicago soul luminaries the Notations and Harrison & the Majestic Kind, Eccentric Soul: The Cash Label is a vital testimony for a scene that blinked once and then disappeared into the wind.